ELIZABETH CITY, NC - The Chevy Silverado is getting a bold new look for 2016, and the details definitely have sparked everyone's interest! The new pickup is sporting a freshened up look that adds a more muscular feel to the new truck. 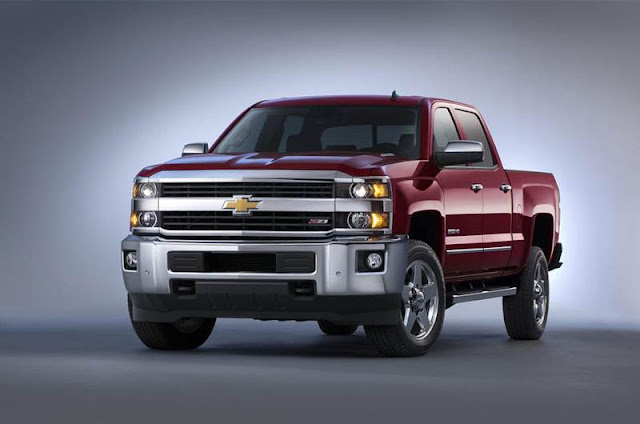 It's important that Chevy refreshed the Silverado mid-cycle because of the amount of competition currently clogging the mid-size truck segment in the United States. The Silverado is the most important model in the Chevrolet lineup because it's Chevy's, and GM's, best selling vehicle. There is no arguing over the success of the Silverado when it comes to sales, as the numbers have spiked to up above 14.6% in the first half of 2015. Since the newest model was updated completely in 2013, sales have continually climbed just over 10% each year. To make sure it keeps its crown as the best selling pickup, the Chevy Silverado is getting a bold new look for 2016. This includes a re-formed front end with more bolder, horizontal elements and a newly sculpted hood. Other updates will include wider availability of an 8-speed automatic transmission, and a completely retooled Chevy MyLink touch screen with support for Android Auto and Apple CarPlay. The new display system will also use additional safety technologies, making the new truck one of the most technologically advanced models in its segment. Sandor Piszar, marketing director of Chevy Trucks stated, "It will feature a more muscular appearance and offer new customer-focused technologies." All of these new updated and re-designs allows the Silverado to completely take the Ford F-Series head on, especially since Ford has chosen to go with a more bendable, aluminum bodied truck this time around. Chevy has stuck with steel.